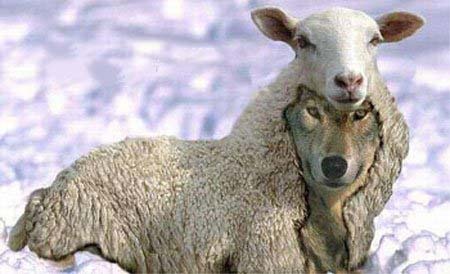 Apparently a wolf in sheep’s clothing….is still a wolf. Several weeks ago I found out that an endoscopic biopsy found that I had a bacterial infection in my stomach. Heliopacter Pylori is a hardy bug that is highly resistant to antibiotics. At least thirty percent of the general population walk around with this bacteria happily coexisting without causing any problems. Some people, though, develop gastritis, which is a long word that basically means stomach inflammation. The best way to get better is to eradicate those H Pylori germs with antibiotics. 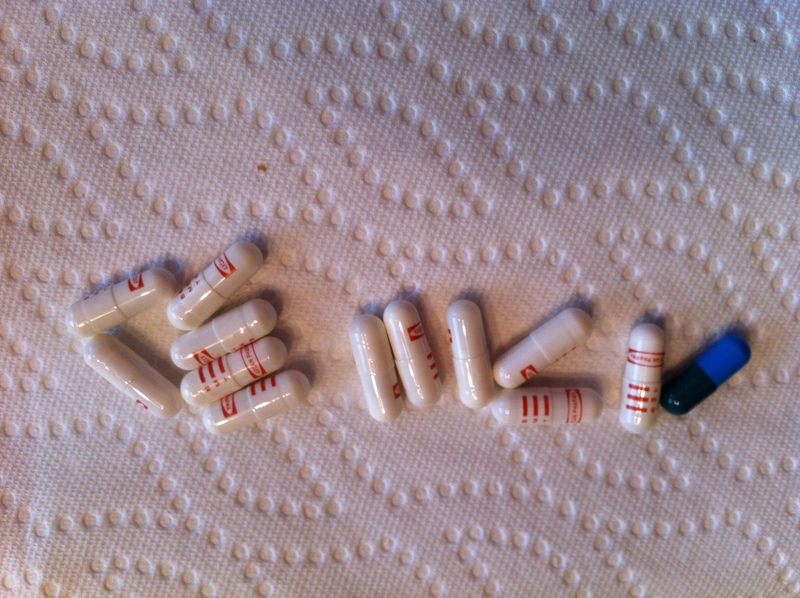 And more antibiotics. And more antibiotics. Seeing as how I’d already lost way too much weight with the not-eating-due-to-nausea-and-anxiety-and-pain, I put off taking the antibiotics until I recovered more from my hysterectomy, gained a little weight back, and conducted a little research into this pesky bug. Today I went to my general practitioner. There is something to be said about trust, isn’t there? Some doctors you just trust. Others you don’t. I don’t know whether that is an emotional response or a logical one, but the fact remains that I have left some doctor’s offices feeling as if I could have been better off going to a livestock veterinarian and other doctor’s offices feeling like I had been listened to and truly counseled. One of my concerns was that my blood antibody test for H Pylori was negative while the biopsy was positive. Did that mean one of them was wrong? Well, the biopsy is the gold standard, says my doctor. For some abnormal reason, my body hasn’t been treating the H Pylori as the Big Bad Wolf that it is. I haven’t formed antibodies. But, as the doctor pointed out to me, a wolf in sheep’s clothing is still a wolf. The H Pylori “wolf” is TOUGH. Anything that not only lives but thrives in acid is a hardy organism. It likes the pH to be around 2. So the doctors prescribe medications that bring the stomach pH up to about 5. This deprives HP of its “delightful” symbiosis with acid. A “cocktail” of antibiotics is required to eradicate HP. Just one won’t get rid of it. Sometimes several courses of antibiotics are required to get rid of it, and a very few people are unable to get rid of it and end up learning to live with it. But the bottom line is, he convinced me that I do, in fact, need to take the antibiotics. One of the reasons behind my weight loss is malabsorption due to all the inflammation in my stomach. So I need to get the inflammation under control so I can again gain weight. 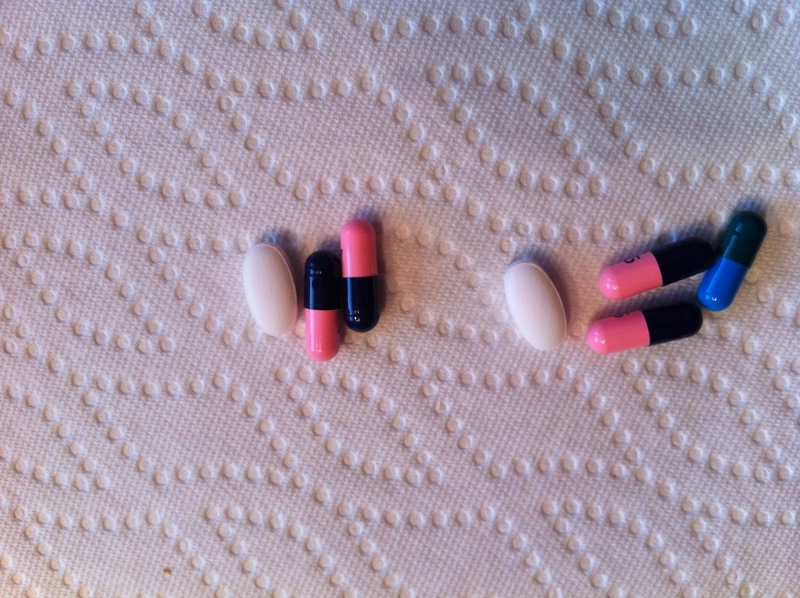 Which means biting the bullet…er, the pills. Now here’s where you come in. I need prayer. Lots of it. Because my greatest enemy is myself, and I am on the verge of panic just thinking about taking all these antibiotics (and about the “wolf” living inside me). Jesus Christ is also IN me, but so often I push Him to the sidelines and embrace my inner anxieties. I need to be reminded daily that I can do ALL THINGS through Christ, because He Strengthens Me. He gave me what I needed to get through my hysterectomy, and He will give me what I need to make it through this course of antibiotics. I need the Lord to walk alongside these antibiotics and give them the boost they need so I will not have to endure another round. Speaking of endurance, I was reminded recently in my Bible readings that all of my health issues are nothing compared to what Paul and the early Christians endured. I’m not battling gladiators and lions or getting whipped or thrown in prison or flogged. I haven’t been shipwrecked or marooned in the middle of nowhere. And I’m tempted to say that I’m not battling these health concerns because of my faith in Christ…but then again, perhaps these health woes are tools of satan to try to distract and discourage me. The wolf in sheep’s clothing is named H Pylori…it’s also named Worry, Anxiety, and Panic. But the Lord is my shield and my strength, and tomorrow we will begin working together to kick HP to the curb.